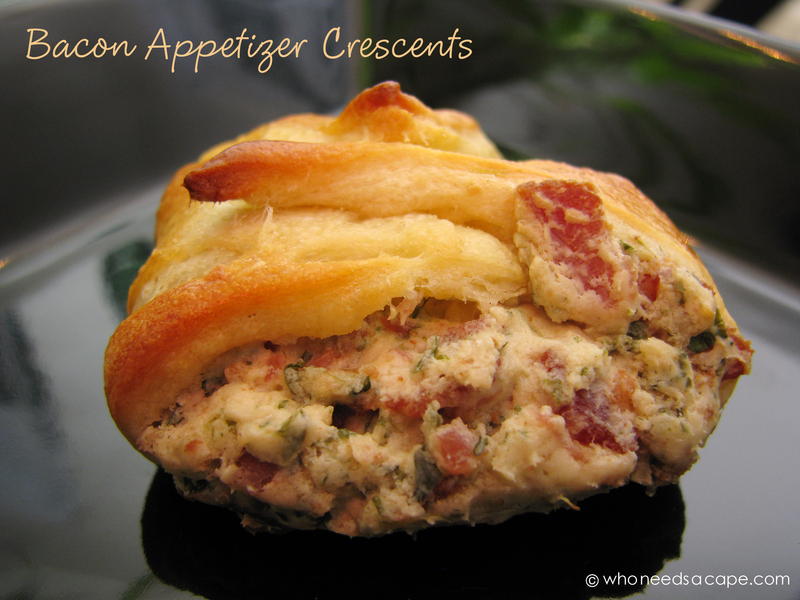 Bacon Appetizer Crescents are little bites of deliciousness! 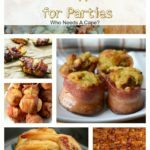 Serve them for tailgating, holiday parties or with a glass of wine – they are always a hit! 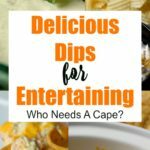 With so many winter social gatherings centered around sporting events, everyone is looking for fun and easy finger foods for their guests to devour. 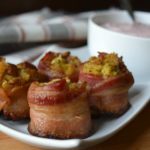 This appetizer fits that description to the letter and even has bacon, which is a sure win with the meat-loving folks out there. I plucked this little gem from a Philadelphia Cream Cheese cookbook I’ve literally had for at least 20 years (oops, dated myself again) and while the page has been marked that whole time I never tried this one. The only adjustment I made to the instructions was to make the dough bigger; the original recipe calls for them to be half this size, but I didn’t think they’d hold together as nicely at a smaller size. So, in essence, you could pop open a pack of crescent rolls, separate the triangles and assemble that way. But since I didn’t consider the finished size until I was three-quarters prepped, I had to adapt on the fly and just re-made the triangles I had worked so hard at crimping closed. Still, they turned out perfect and even my picky eaters loved them! Adapted from Philadelphia Cream Cheese/Kraft's "Finest Recipe Collection," 1992. Beat cream cheese, bacon, parmesan cheese, onion, parsley and milk in small mixing bowl at medium speed with electric mixer until well blended. Separate dough into 8 rectangles; firmly press perforations together to seal. Spread each rectangle with 2 rounded measuring tablespoonfuls cream cheese mixture. Place on greased cookie sheet; brush with combined egg and water. Sprinkle with poppy seeds, if desired. 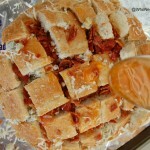 Bake 12–15 minutes or until golden brown. There is nothing in the recipe I don’t like! You had me at bacon, but then I saw cream cheese … I am in love! 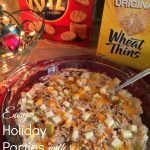 Thank you for linking up to In and Out of the Kitchen! I look forward to seeing what you bring next week. Curious what the cookbook is called? I would love to check it out! Hi Brandy and thanks for the comment! The recipe is from Philadelphia Cream Cheese’s “Finest Recipe Collection,” which I bought back in 1992 or 1993. It even references flavors Philly doesn’t make anymore (smoked salmon, olive & pimento), so I’m not sure if there’s a current version of this cookbook available. Maybe eBay or other auction sites have it? Good luck! OMG they look so good! That’s a must make for our next gathering. Thanks a bunch! 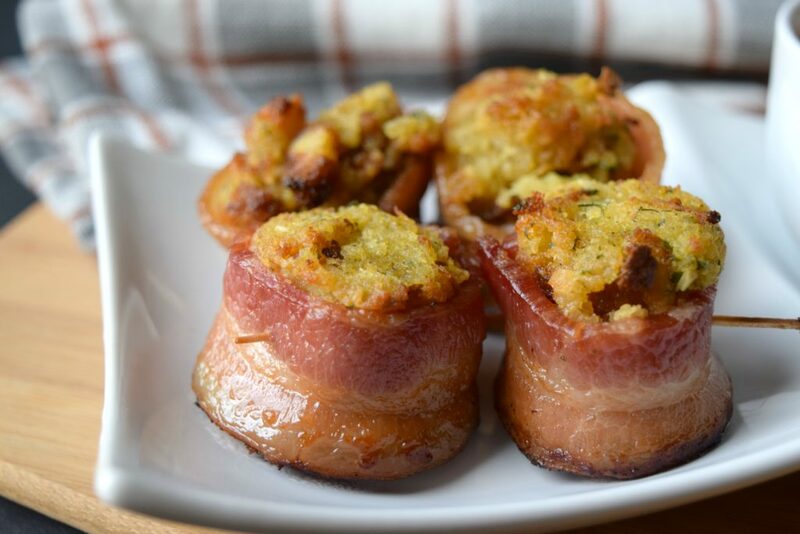 These Bacon Appetizer Crescents look delicious. 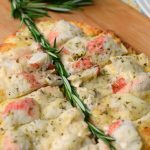 Your recipe is awesome and thank you so much for sharing it with Full Plate Thursday. These look fantastic!! 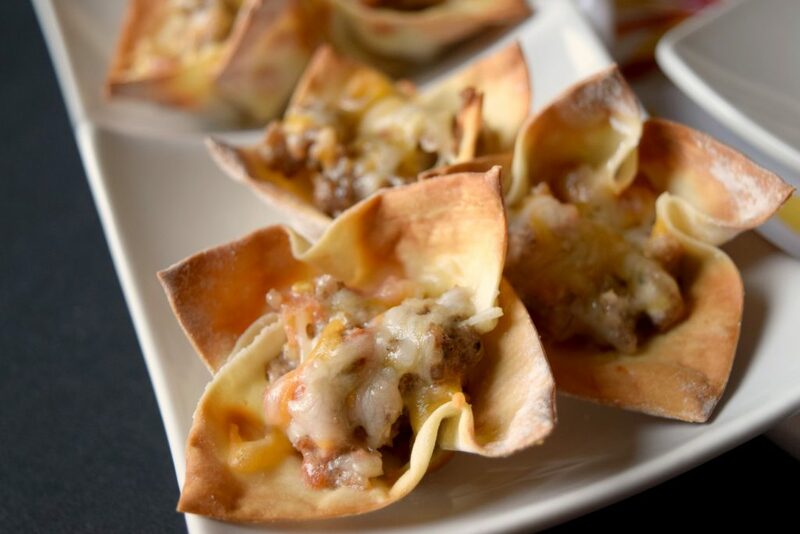 I love appetizers with crescents, so I can’t wait to make these!! Pinning! 🙂 Thanks for sharing on Foodie Friends Friday! Can’t go wrong with bacon! Thanks for sharing on Foodie Friends Friday! I am featuring your appetizers tomorrow! Thanks for lining up! That’s fantastic – thanks Kim and we’ll be sure to link back up to you! These look so delicious! I want one now!! Burning up my Pinterest board tonight. 🙂 Thanks so much for sharing at A Bouquet of Talent this week. Saw you featured at Lakeshore Drive. Regardless of where you found this recipe, you have shared it. Bacon and cream cheese are meant to be shared. You have done humanity a great service and I thank you for it. Good times! That is one of the best comments ever! 😀 “Done humanity a great service” LOVE IT! Happy to do my part in sharing! 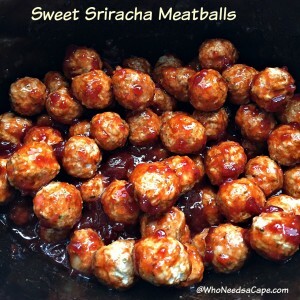 Believe that this is a great appetizer for a Superbowl party. Pinning.